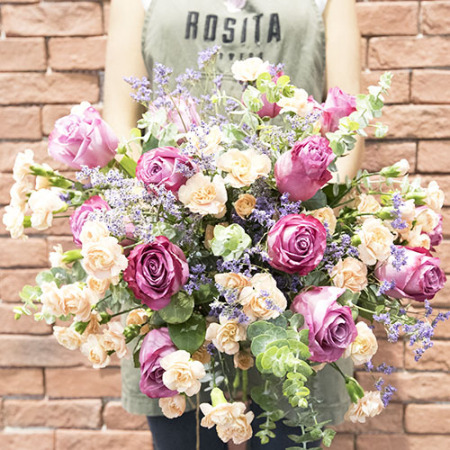 Pastel delight expresses an elegant pastel palette with our fresh carnations, premium Colombian roses and seasonal fillers. This artistan bouquet is a refined and soft gift for all occasions. *Please note that due to high demand the colours pictured may be replaced by other pink or purple colours. However we will do our outmost to provide you with breathtaking flowers.